A son today told how his family was attacked in a “nightmare” knifepoint raid at their home minutes before two teenage newlyweds died after a high-speed police pursuit. The ordeal sparked a hunt for the burglars, which led to the death of the pair as they drove the wrong way up the A40 dual carriageway in west London. The man described how four men, all wearing bandanas and dark clothing, burst into the semi-detached house in Pinner armed with a screwdriver and hunting knife. They held the knife to his throat and dragged his mother by her hair down the stairs as they searched for jewellery. 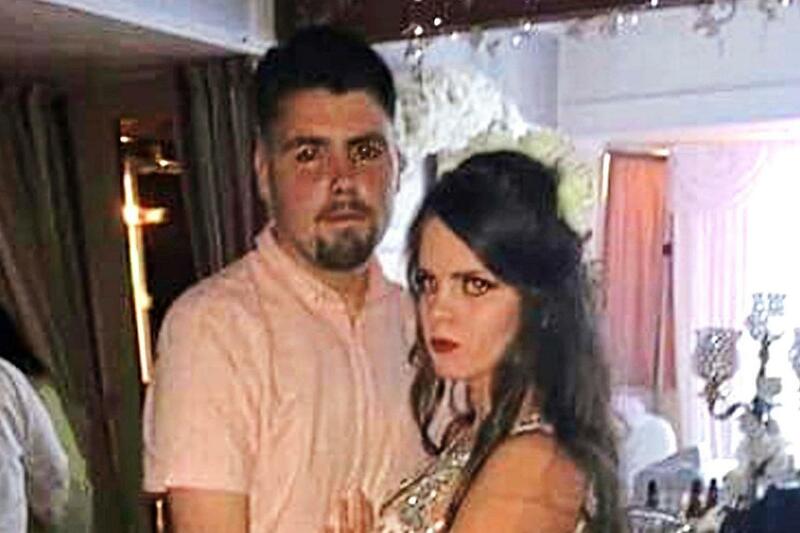 Less than an hour later Patrick McDonagh, 19, and his pregnant wife Shauna, 18, died when the car they were travelling in smashed into a coach. Today one of the victims of the burglary told how he begged the raiders to spare his parents’ lives. He told the Standard: “The first guy popped the front door open and called to his crew to follow him in. “They had an enormous screwdriver but that was nothing compared to the Rambo knife. “I got up to confront him but he held the blade to my throat and shouted ‘sit the f*** down’. I said ‘take whatever you want, just please don’t hurt my parents’. “They were dragging my mum down the stairs by her hair looking for jewellery. The resident, who did not want to be named for fear of reprisals, said he got up to try to help his mother but was punched in the face. The gang escaped with cash and valuables in the raid which took place between 8.15pm and 8.37pm on Sunday. He added: “I’m not an easy target but my family are still traumatised. It was a nightmare, my family are terrified. Any witnesses or anyone with any information is asked to call police on 101, or contact Crimestoppers anonymously on 0800 555 111 or online at crimestoppers-uk.org.